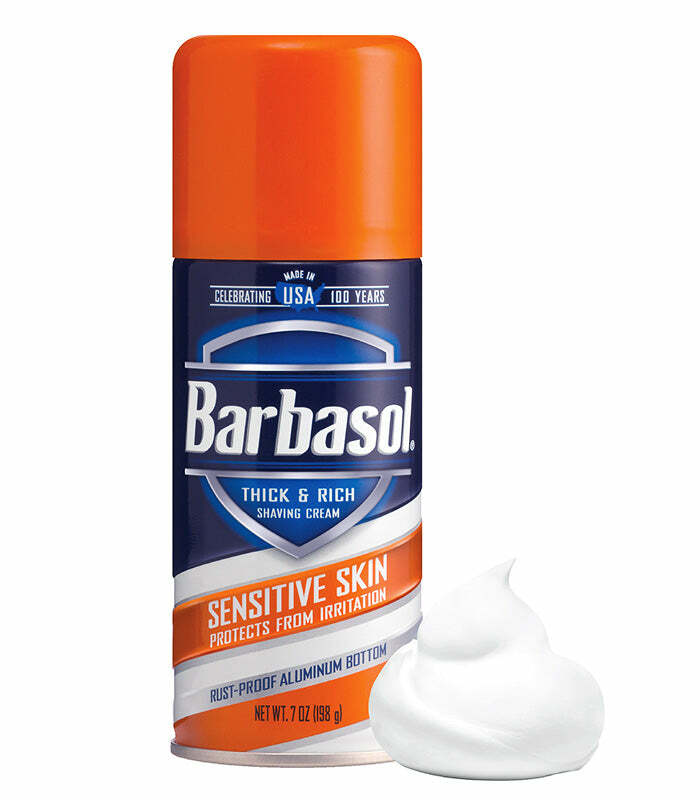 Barbasol Sensitive Skin Shaving Cream is specially formulated with aloe, thyme, papaya and willow bark and a light fragrance to moisturize and protect skin from irritation. The premium Close Shave® formula, with quality ingredients, produces a rich, thick lather and exceptional razor glide. Barbasol Shaving Cream gives you the confidence that comes from a close, comfortable shave. Water, Stearic Acid, Triethanolamine, Isobutane, Laureth-23, Aloe Barbadensis (Aloe), Thymus Vulgaris (Thyme), Carica Papaya Fruit Extract (Papaya), Salix Alba (Willow) Bark Extract, Sodium Lauryl Sulfate, Propane, Fragrance.